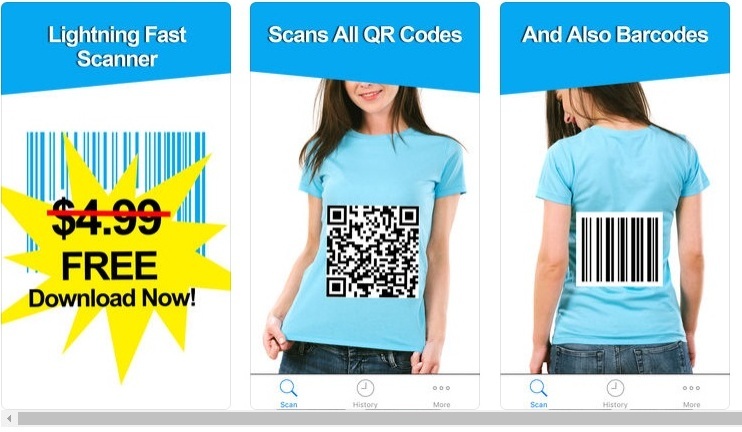 Scan QR Code on iPhone: QR codes which stand for Quick Response codes is a machine-readable bar-code that contains vital information like links, websites, email addresses, coupon codes, numbers and more. These codes are extensively used these days to provide a shortcut way of uncovering certain information that the generator of the code wants you to see. QR codes are also being used in various applications like WhatsApp, Facebook Messenger, and Snapchat to provide relevant information to the users by scanning them on their devices. However, iPhones running on iOS version 10 and older were not equipped with a QR code scanner of its own and hence were not able to scan them independently. 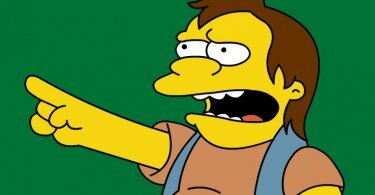 The users had to download a third party app to scan the codes. Thankfully after the rollout of iOS 11, the issue has been resolved by Apple and all iPhones for the current generation can scan QR codes easily using the default camera app. In this article, we are going to explain in detail the various methods by which you can scan QR code on iPhone using the camera app as well as some other applications. It is really easy to scan QR codes using the native camera app of the iPhone. However, it is to be noted that this process only works on iPhones running on iOS 11. So if you are using an earlier version of iOS, we recommend you to update the software to iOS 11 first before proceeding any further. STEP 3: Your device will automatically recognize the QR code that you want to scan and will also provide a notification to you. 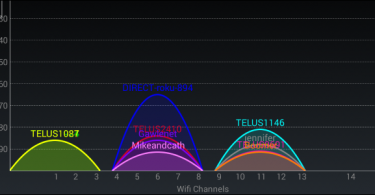 (Note: you need to enable your data connection or make sure you are connected to a WiFi connection before proceeding with this step). STEP 4: Tap on the on-screen notification to get to the destination of the QR code that you just scanned. The Wallet app of the iPhone comes with an inbuilt QR code scanner however it only scans QR codes for specific “passes” like cinema tickets, boarding tickets, etc. To use this feature to scan QR codes you just need to follow some simple steps that have been listed below. STEP 2: Tap on ‘Scan Code’ that can be found towards the bottom of the page in blue colored letters. STEP 3: Now hold your device over the QR code that you intend to scan. STEP 4: Fit the square around the QR code by adjusting the position of your device. The Wallet app will scan the code automatically and add the pass. Both the above-mentioned methods work equally well for scanning QR codes on iPhone, however, if you are using an older version of iOS or want to scan a code that does not contain a pass, then there is an alternate method that you can use. 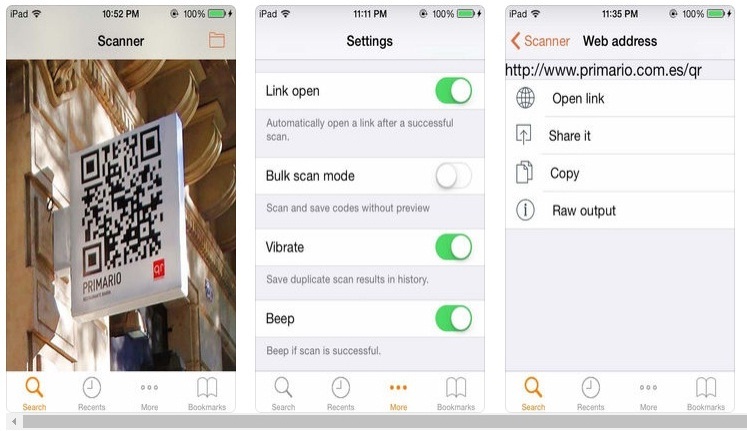 This method uses third party QR code scanner apps that are available on the Apple app store or iTunes to scan the codes effectively. Below, we are going to mention three such QR code reader apps for iPhone that will do the job for you. Developed by MixerBox Inc. Free QR Code Reader & Barcode Scanner is one of the best QR code readers for iPhone. 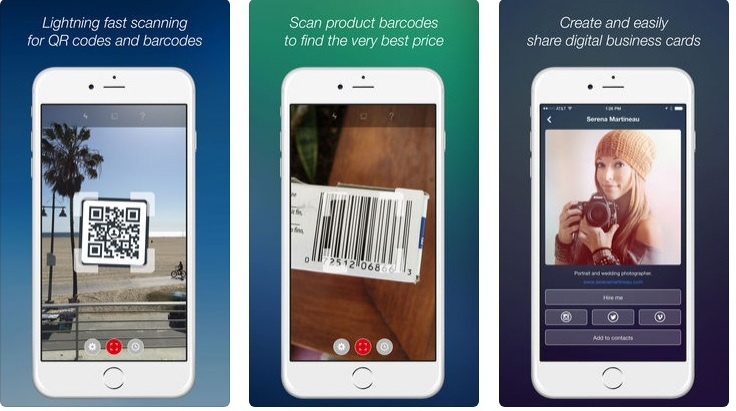 This app works seamlessly to scan QR codes as well as bar codes with ease. The app can also be used to scan 1D and 2D type codes and also makes use of the flashlight effectively to enable code scanning even in totally dark environments. Another great advantage of using this app is that it supports multiple languages like English, French, German, Spanish, Arabic, Italian, Korean, Japanese and Russian among others. The app is available for free on the Apple App store. Simple Scan is another free QR code scanner app for iPhone that is equally efficient in scanning QR codes and barcodes. It also features a bulk scan mode that allows you to scan multiple QR codes simultaneously. Apart from that, it can also read barcodes and QR codes from photos easily. Once the scanning is completed, it will beep or vibrate to alert you of the same and will take you to the destination of the QR code or barcode it just scanned. This is another great QR code reader for iOS that does its job really well. Also, it is one of the most reliable and easy to use barcode scanners available for the iOS platform. It also offers the option to sync scan history across all the devices as well as the web and can also scan codes from pictures easily. The app comes with a price tag of $ 1.99 that is totally worth it as it does its job really well. 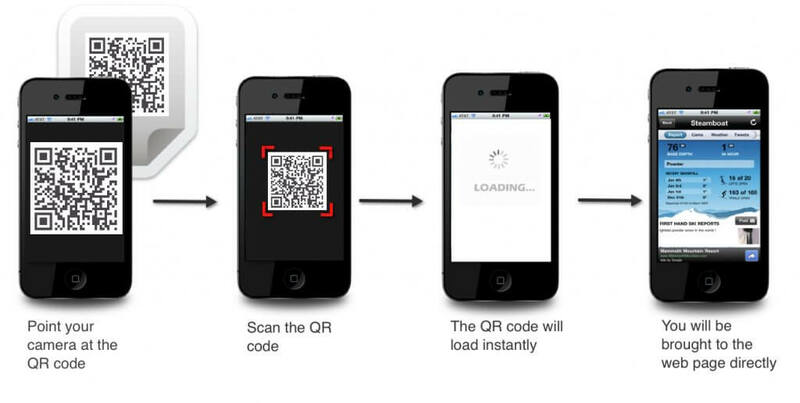 All the three methods to scan QR code on iPhone should work equally well for you. However if use an older iPhone that runs on iOS 10 or lower, you should use the third method as the device is not equipped with an inbuilt QR code scanner. If you have any issues you can report to us using the comment section below and we will look into it at the earliest.